The rap epic had been topping the box office until War Room knocked it off its pedestal this weekend. A faith-based movie has knocked off the NWA biopic “Straight Outta Compton” off its No. 1 perch at the box office this labor day weekend. “War Room was actually in its second weekend in theaters, and it will bag a total of $9.35 million over the three-day weekend — not an earth-shattering haul, but still better than former No. 1 Straight Outta Compton, which took $8.85 million, according to a Business Insider report. The only other competition was “The Transporter Refueled,” which as in its first weekend of release. It was only able to pull in $7.1 million, however. It was an opening weekend low for the “Transporter” franchise, which features action star Jason Statham. It’s considered the last weekend of the summer movie season. 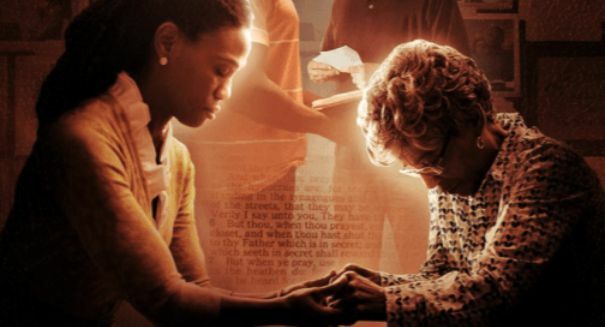 War Room is classified as a Christian drama film. It is the fifth film project of the Kendrick brothers. The film was called War Room because it seeking God for the right strategy is much like the war room of the military, according to the Kendrick brothers. The film has survived mostly negative reviews to achieve box office success. It had a budget of just $3 million, so already in its first weekend it has tripled its investment. The film features a couple that has a dream life, including good jobs, a good home, and a daughter they love. But then the cracks start to show with a failing marriage and tendencies by the husband to err on the side of immorality to his own detriment. As a result, the wife establishes a “war room” with a new client to pray for her family.